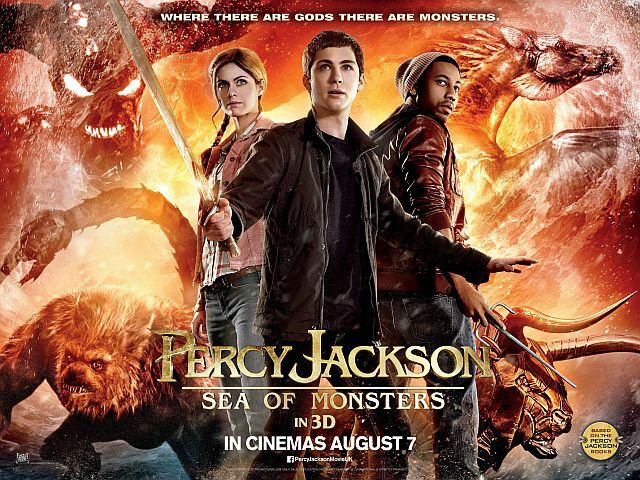 As an avid reader of Percy Jackson series, I have many complains about this movie. They still change the story, make it pretty lame. Still on the same level with the first movie even though a little bit less annoying. You ask me what's wrong with this movie? There are so many things that I can't bother to mention them all. What I hate the most is when they insert a scene where Annabeth is mortally wounded in battle, that incident is not in the book. What's the point of this scene? Makes us sad, emotional, or what? This scene is not working because they already have the Golden Fleece that can cure anything, hence the audience know that she will not die. But other than that, this movie actually is good enough to entertain me. The fanatic reader of the book will be disappointed, but if you haven't read the book, maybe you'll like this movie and think it is cool.